Our yoga classes are safe and appropriate for people of nearly all ages and skill levels. 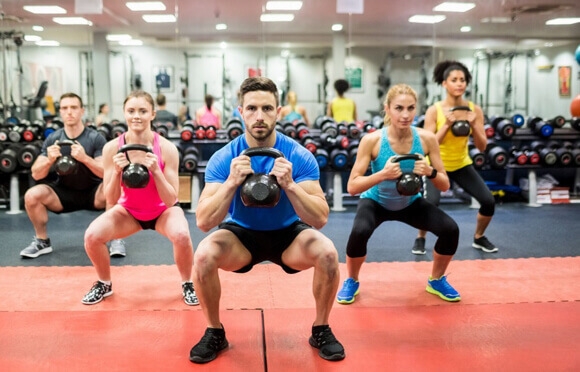 Because there are numerous types and classes, it’s usually possible to find a class that is suited to your personal abilities, making it an excellent exercise choice for beginners as well as physically fit individuals. Club USA’s Core Connection Studio offers many styles of yoga including: Yoga I, Yoga II, Restorative Yoga, Meditation Yoga, and Heated Empowering Yoga. In addition to yoga, we also offer Skinny Jeans-Barre, Pilates and Ball Blaster classes for core strength, balance, and body awareness. Our Certified Instructors will be happy to offer modifications when needed. All Yoga classes take place in our Core Connection Studio. Join us for a yoga class today!